Just a few days from the sixtieth anniversary of James Dean’s death on September 30th, 1955, we may have our greatest clue to finding the location of the infamous Porsche he fatally crashed in, long-rumored to be cursed. According to ABC7 Chicago, the Volo Museum located in Volo, Illinois, claims they have received a credible tip as to the whereabouts of the long-lost Porsche 550 Spyder, whose tales of curses are not just stories, they’re downright terrifying. After suspiciously surviving unharmed after its first exhibit completely burned to the ground, it was being transported from its second exhibit and managed to crush a truck driver, fall off of two more transport trucks, and then vanish - seemingly until now. Long rumored to be cursed, the Auto Museum made a reward offering of $1 million for the wreckage in 2005. Following an episode of “Brad Meltzer’s Lost History” that aired in winter 2014, the museum says, they were contacted by a man in the spring with an intriguing tale. “He said he was 6 years old at the time, and was present as his father and some other men put the wreckage behind a false wall in a building in Whatcom County, Washington,” said Brian Grams, director of the Volo Auto Museum. It’s also reported that the man coming forward knew exclusive details related to the car and passed a polygraph test. The conversation over the exact whereabouts of the car are ongoing, with the man wanting a guaranteed amount of the reward money before revealing the location. The museum is trying to establish clear legal ownership of the car before granting any rewards, but everything looks to be moving forward. 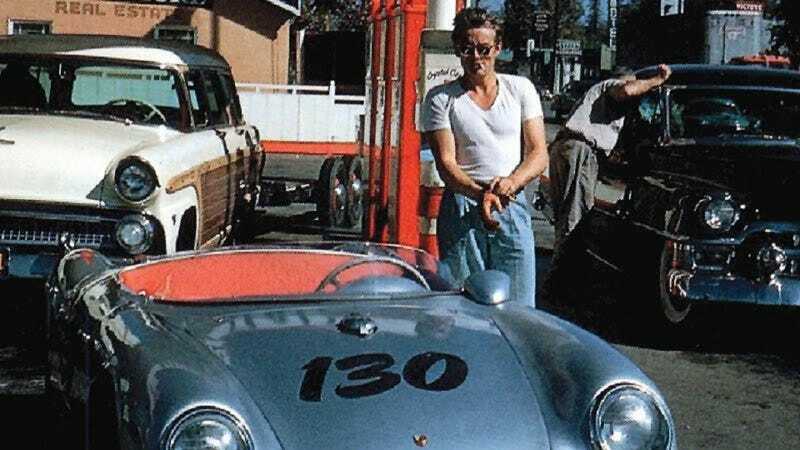 Have we finally figured out the location of James Dean’s fatal Porsche, or will this just be another peg in the long-storied history of the mysterious car?